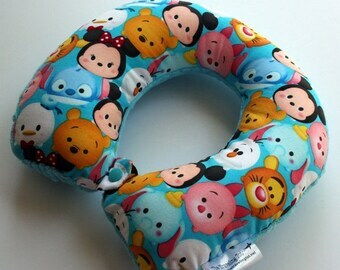 Unique handmade creations for travel & busy families! Announcement Welcome to The Traveling Tot! ** IMPORTANT ANNOUNCEMENT - The Traveling Tot is branching off and becoming Sleepy Dust Designs! All of our babywearing accessories, baby items and wrap scrap creations will be transitioning into our new shop - both ready to ship items and made to order/custom items. Thank you for your patience during this transition! ✈ CONTACT : Contact me via Etsy conversation with any questions! If you have sent me a message, you can expect a reply in 12-24 hours during normal business days. I typically do not respond to messages on Saturday and Sunday. If you have not heard back from me within 36 hours, please bump your message by sending me a quick message to check in. ✈ SHIPPING : Most items are MADE TO ORDER, and will ship in 2-3 WEEKS. International customers - International orders shipped via USPS International First Class Mail have an average delivery time of 2-4 weeks, although some packages may take up to 6-8 weeks to arrive. The buyer is responsible for all taxes, duties and fees. Local pickup is available for customers in the Lansing area, see my shop policies for more information. Most of my photos are "stock photos" meaning the size, shape and fabric placement of the item you receive may vary slightly from the one that is pictured. I strive for quality with all of my products and use my own templates or patterns for all of my products. All fabrics are washed and dried prior to use to prevent shrinkage. ✈ CARE and SAFETY : All products have a tag attached with care instructions. Please follow these instructions to keep your item in the best condition possible! Please do not leave babies and young children unattended while using my products! ✈ SHOP POLICIES : Scroll to the bottom for more information on shop policies. All of The Traveling Tot products meet CPSC safety requirements. Welcome to The Traveling Tot! My 4 year old niece wanted a pink pillow with unicorns and rainbows, so this was perfect! My request for a pink back and other special requests were followed perfectly and the shop communication was great! This is so cute! My grandson will love it ! Thanks! Don't lose another mitten, The Traveling Tot Mitten Clips are now stocked and ready to ship! Cute and fun patterns with hidden elastic in each clip, to keep your little one's mittens securely attached while they are outside playing! Adjustable Mitten Clips - Red Plaid (Mitten Holders/Keepers/Straps w/ Adjustable Hidden Elastic) - Ready to Ship! I just did a BIG restock of Car Caddies to my shop, the biggest selection I have had in years! Check out all of the fun patterns available, these are the perfect gift and stocking stuffer for a little one in your life! Custom Tula accessory sets are available by custom order I love the way this Later Gator Tula set came together! 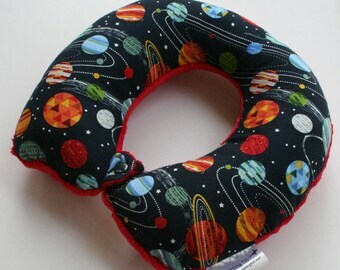 I opened The Traveling Tot (formerly named Two Little Monkies) in the spring of 2010 with the intention of making my shop a hobby, hoping to sell some of the items I made for my own children. Over the last 7 years my shop is grown more than I could have ever imagined and has become more of a full-time job than just a hobby. 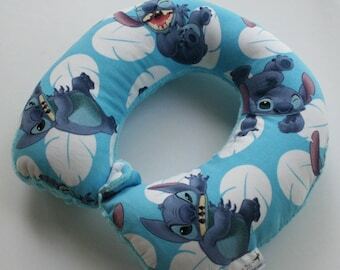 I began with a just a few travel neck pillows and since then I have added over a dozen types of children and baby items to my stock. In 2017 I made the decision to branch off from The Traveling Tot to open Sleepy Dust Designs for my baby items and baby carrier accessories. I love making my own patterns and finding a new way to make each item. I pride myself on quality and I believe that each item should be made with care and attention to detail as I would if making it for my own children. I would not have this business if it wasn't something that I truly loved to do, and that is what motivates me every day. I strive to do my best, from making high quality and long lasting products to providing excellent customer service and fast shipping. I pride myself in having excellent feedback and I feel a good reputation is an important part of my business. I love the flexibility of working from home while still being able to care for my children. Having a home based business has given me the opportunity to help contribute financially, while still being with my children all day. I typically sew once my children are in bed because caring for my children leaves me with very little time during the day! I wouldn't change a thing about it though, I enjoy having the opportunity to sneak away to the quiet of my office every night and focus on doing something that I enjoy! My name is Andrea and I am the mom to 4 wonderful children. I am married to my husband, Zane, and we live in a small town near Lansing, MI. The Tots are the inspiration for The Traveling Tot. They thoroughly test all of our products and make the perfect models for the shop. They aspire to be a part of the business someday and are always eager to help out! I am happy to create an item just for you! Most of my items are able to be customized with fabrics that I have on hand, and sometimes I am also willing to order fabrics (additional charges may apply). I can also alter the size and shape slightly, to make an item better fit your needs. Because of the nature of my items, I do not always have every item listed in my shop that I am available to make. Please see my price list for a list of items I can make by request. If you are interested in a custom order, please send me a message to discuss what you are looking for! Infant/Toddler - Fits infants starting around 6 months old (average size infant) through 5 years old. Please see listings for care instructions on individual items. Every item comes with care instructions on the tag or package insert. If you are unable to use these care instructions (worn off the tag, packaging was thrown away, used item didn't come with instructions), please send me a message and I will gladly give you this information!